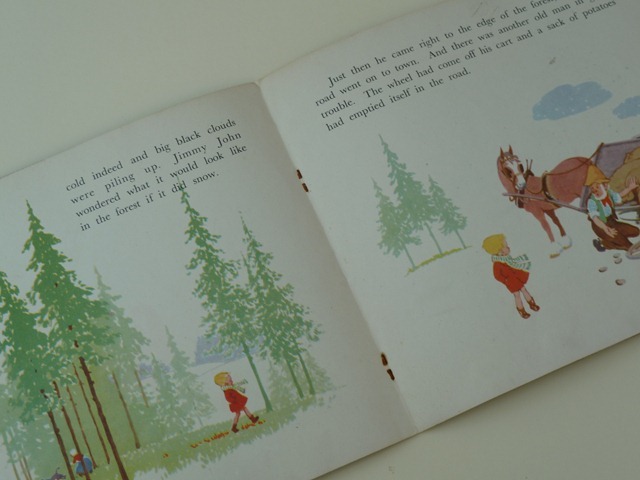 This is a strange one, it’s a title that is included in most lists of MEA’s works, but it is in fact a short story for young children, published with paper covers and stapled, more of a booklet than a book. Presumably it was written for an annual but then for some reason published as a standalone title. 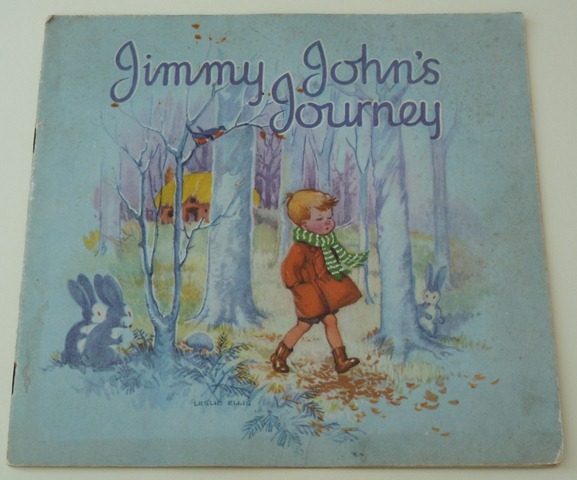 Jimmy John lives in the forest with his parents, and his mother leaves him to look after the house whilst she goes shopping. He decides to go into the forest in search of adventure instead. He meets an old lady who asks him to help catch her donkey, an old man who asks him to help him mend a roof, and another old man whose load has fallen from his cart. All three ask him for help, but he refuses as ‘he is on a journey’. It starts to snow, and Jimmy John is cold and tired, and asks the three people he met earlier to shelter him, but they all refuse, and he wishes he had been nicer earlier. He meets his daddy who takes him home, and he vows to be more helpful in future. A story with a moral! There’s nothing more to say, really – this was presumably one of the many short stories which MEA churned out for small sums of cash to keep her going whilst she waited for her books (which had been accepted for publication) to appear in print. L M Montgomery had a family called ‘the Jimmy Johns’ in Jane of Lantern Hill.